Lady Escapes Death By Miracle As Truck Destroys Her Car Beyond Repairs - Photos - AutoReportNG "AutoReportNG-The No 1 Car Blog In Nigeria That You Can Trust - AutoReportNG"
A lady escapes death by the whiskers in just a matter of minutes. 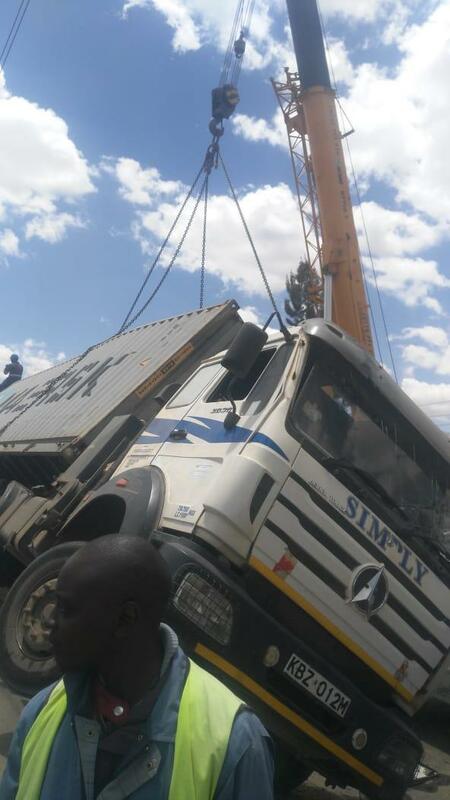 This happens along Mombasa road in Kenya. 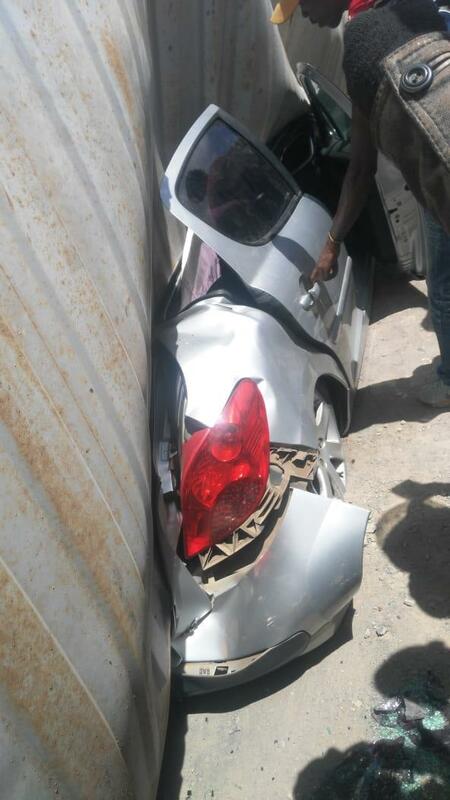 According to reports, she wasn't in the vehicle at the time, she parked her car along the tarmac road and a truck. 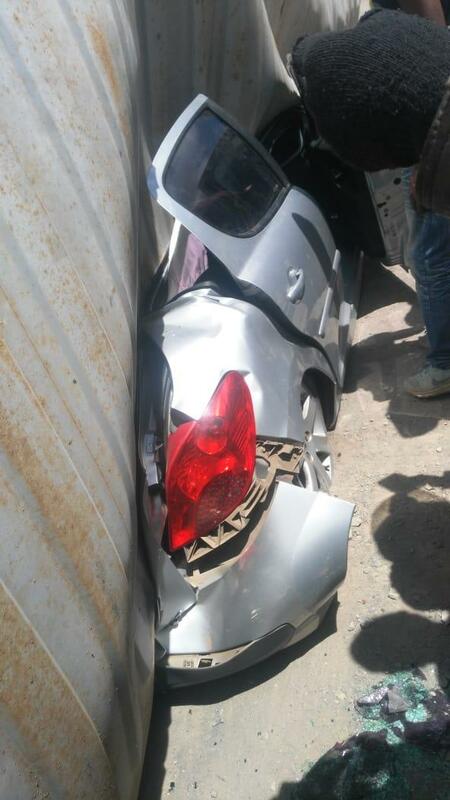 Her car was damaged beyond control as the truck crushed the car almost to nothing. 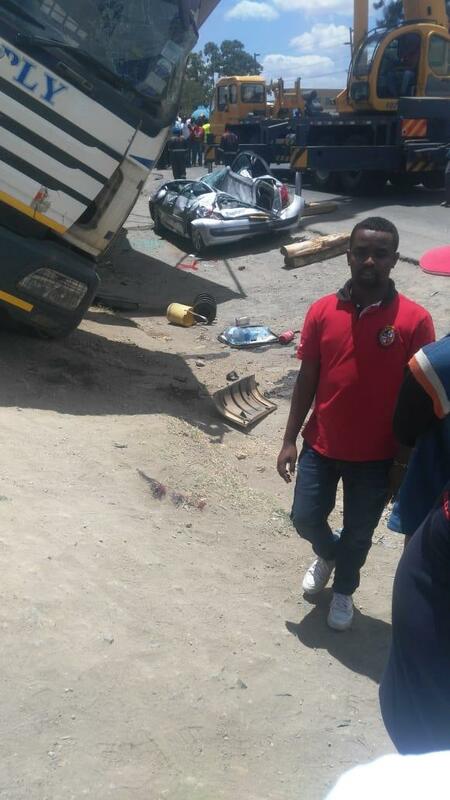 The truck fell on the car when the lady stepped out to buy something from the mall... Imagine if she was still in the car!